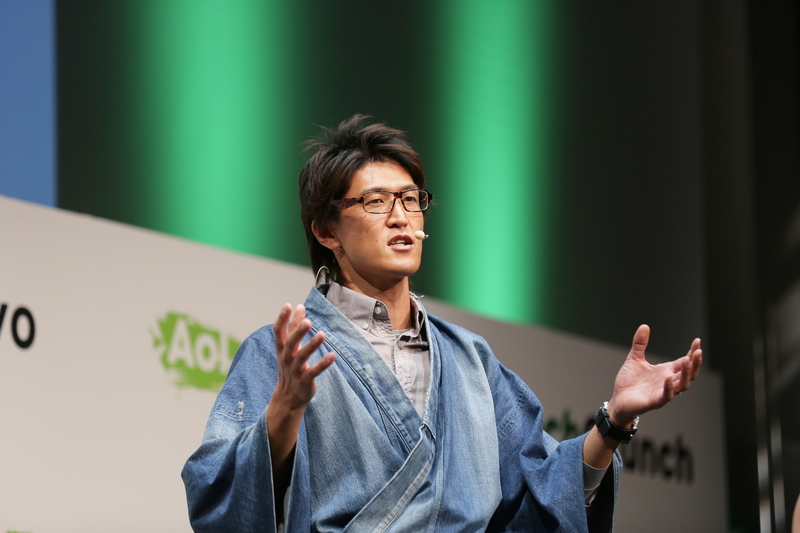 Every year, our sister publication TechCrunch Japan has its own tech conference called TechCrunch Tokyo to bring together local investors and entrepreneurs and to introduce that crowd to some of the more successful startups from the U.S. and Europe. This year, speakers visiting Japan for the event included Pebble CEO Eric Migicovsky and Product Hunt founder Ryan Hoover, among others. 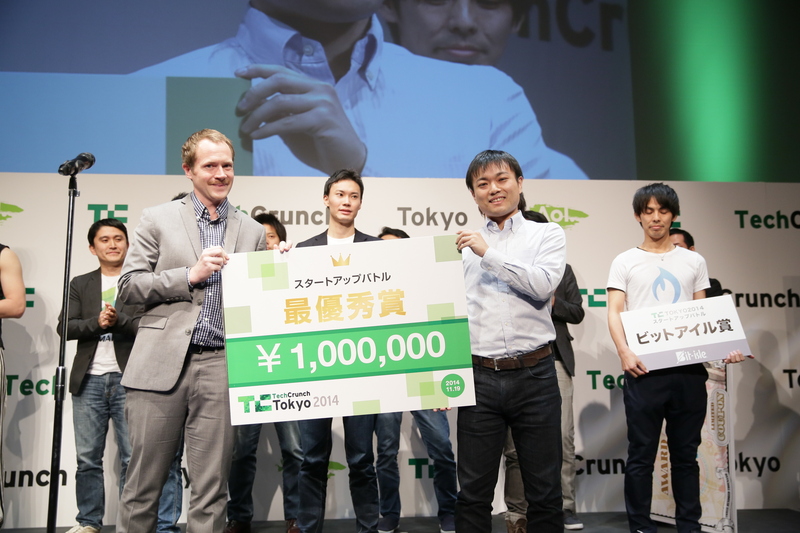 TechCrunch Tokyo also has its own take on Disrupt’s Startup Battlefield, pitting a dozen different early-stage companies to compete against each other for a series of prizes. This year, the competition boasted a wide range of startups across a number of different product categories. That included everything from education to small business backend tools to food delivery to outsourcing logistics for businesses. In many ways, what was most interesting to me was how many of the same businesses and concepts that have launched in the U.S. are also being tackled by Japanese entrepreneurs. For instance, it’s easy to see the parallels between food delivery startup Bento, which gets 500-yen bento boxes to customers in under 10 minutes, and San Francisco’s Sprig or Spoonrocket offerings. And Bizer, which provides cloud-based backend management tools for small businesses, reminded me of how Zenefits is providing a simple platform for SMBs to manage HR practices in the U.S. While many of the startups were trying to solve problems specifically for Japanese users, there were others that had more global appeal. The startup which walked away with the main prize — more on that later — had created a product that could be used by developers anywhere in the world. Mikan is an app to help users studying English to quickly boost their vocabulary. 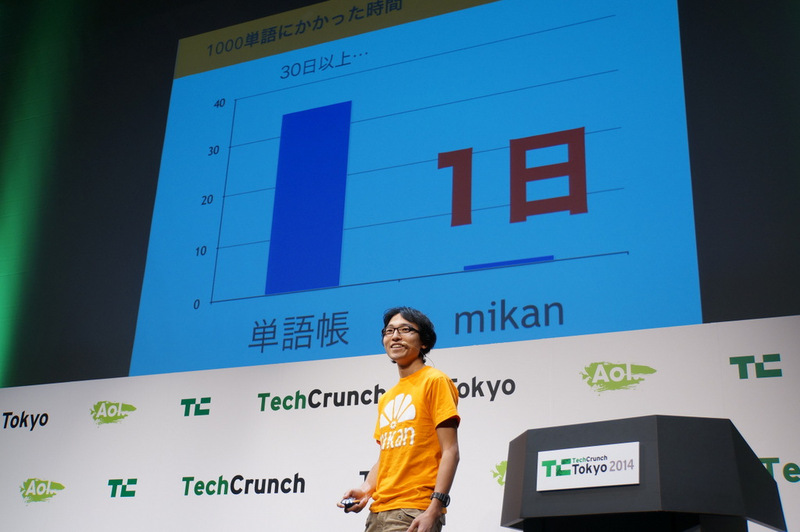 Aiming to boost the number of Japanese citizens who are bilingual to 100 million by 2020, Mikan provides a flash-card like functionality for reviewing groups of words to understand their definition. The app separates vocab words into categories of those users know and those they don’t, and keeps serving up those they don’t until they get them. As a result, users are able to learn vocab words more quickly than traditional methods — up to 1,000 in just one 24-hour period, according to the founder. While a number of fashion apps out there are aimed at getting users to discover new fashions, Closet is designed to help fashion-conscious users get more use out of the clothes they already own. Users simply take photos of their individual pieces of clothing and then can mix and match them to create new and interesting outfits and share them with others. There are already a number of smart locks out there, but Akerun is specifically targeting the Japanese market. The lock should work with about 80 percent of all locks in the country, and could be sold either to consumers or to rental businesses or hotels or even businesses. Unfortunately Akerun suffered from the dreaded live presentation “demo fail” so we didn’t get to see it in action, but the design looks cool at least! Wovn is a service that aims to make more websites accessible to a global audience. By adding one line of code to their sites, the product will automatically detect a user’s language settings and deliver a localized page to them. That will help Japanese website owners, in particular, reach the 95 percent of web users that don’t read Japanese. In addition to automatically providing a localized version of those sites, Wovn also helps site owners create those new versions, providing either machine translation (which is free) or work done by a professional translator (which it charges for). Mobile quiz app Match is an educational tool disguised as a game. Like QuizUp, the app lets users match up against one another and answer quiz questions about a variety of topics. By adding gamification to education, it hopes to increase user’s general knowledge of those categories over time, while also being fun. I mean, who doesn’t want to have fun while also learning? There are about 3 million small businesses in Japan, and Bizer wants to help the people who run those businesses with all the backoffice things they need to take care of. The company charges a 2980-yen monthly subscription for the service, which simplifies the process of doing paperwork needed to get employees onboarded and up and running. By doing so, it speeds up the process and could lower the costs associated with bringing on new hires. FiNC is a service that is focused on helping Japanese people live healthier lives through a mix of data and training. The service runs on a monthly subscription and connects users with private diet coaches and gym programs after assessing them for health and fitness, to provide a personalized program for improving their health. Spacemarket wants to be like Airbnb for meeting spaces, allowing businesses that have unique spaces to rent them out on its peer-to-peer platform. It hopes to enable its customers to book company meetings and retreats in places they wouldn’t normally have access to. It’s not a totally unique idea — there’s a startup in the U.S. called PeerSpace doing the same thing — but Spacemarket is looking specifically at the Japanese market. Yes, they have food delivery apps in Japan, too. The trick behind mobile app Bento is providing ultra-fast delivery of ultra-cheap bento boxes that are priced at 500 yen each, which is less than $5 US. But the company is looking at other potential categories of food — like coffee, for instance — and is even considering moving into the broader logistics business with delivery of non-food goods. This startup wants to capitalize on the growth of YouTube and make the viewing of videos hosted there a little more social. By allowing people to watch videos in viewing parties yTuber.tv is hoping to improve the online video experience and reduce the current loneliness factor. To do so, it’s also curating the videos, choosing longer-form selections for increased viewing time and engagement. OpenLogi wants to simplify the process of shipping for businesses who want easy way to fulfill orders that their customers have placed. OpenLogi has built relationships with multiple carriers to ensure the best shipping rates, which it makes transparently available on its website. The company has also built an easy platform for fulfilling orders and printing shipping labels, a process which takes more than a dozen clicks when fulfilled by Amazon. By contrast, there are only two or three pieces of information and clicks for a customer using OpenLogi’s platform. As a growing number of entrepreneurs are dipping into creating hardware, the desire to develop their own chipsets for controlling devices has increased. The only problem is that custom ASIC development is a frustrating and time-consuming process. But not anymore… AgIC reduces the cost of chip development and the time associated with prototyping by allowing its users to print transistor designs to paper with conductive ink delivered via inkjet printer. The cost of the conductive ink cartridges would be about 20,000 yen or about 200 yen (less than $2 US) for each printout. The technology makes ASIC development easy, fast, and affordable. It’s tech that could be used around the globe, and it could open up development to a whole new group of entrepreneurs to create new and interesting hardware devices and applications. As a result, the judges thought AgIC had the best largest potential global reach and impact of the companies that presented. All of which is why they were happy to award the winning prize and 1,000,000 yen to the startup.